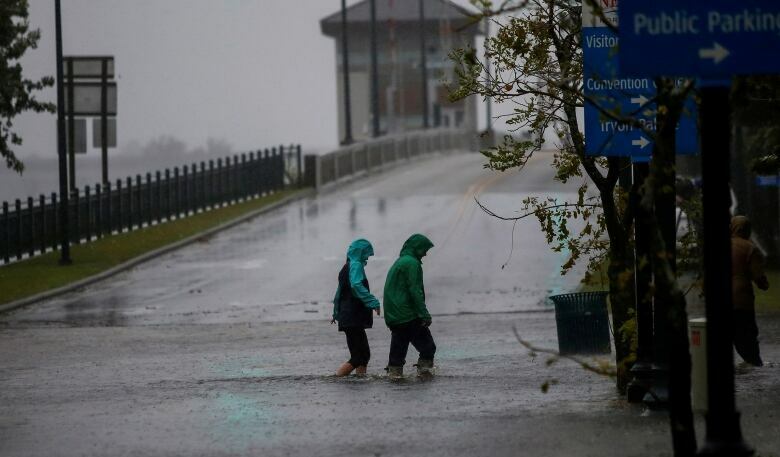 Millions of people in the path of Hurricane Florence are hunkering down Friday as the storm pummels North and South Carolina, bringing catastrophic flooding and forceful, destructive winds. 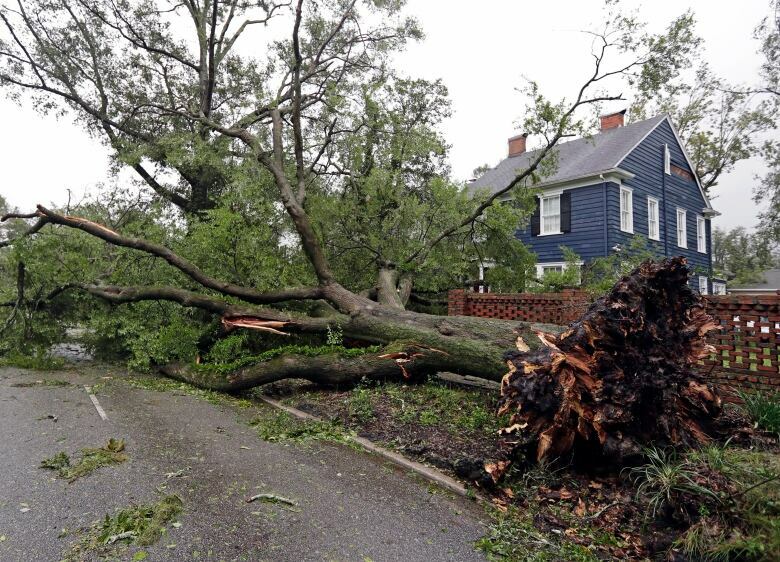 Scroll down for a look at the damage and destruction caused by this monster storm. 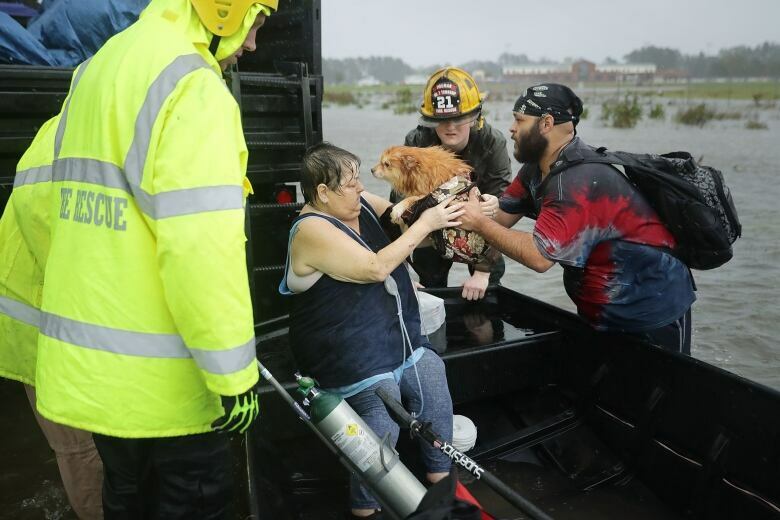 Rescue workers from the civilian crisis response team help rescue a woman and her dog from their flooded home in James City, N.C. on Friday. 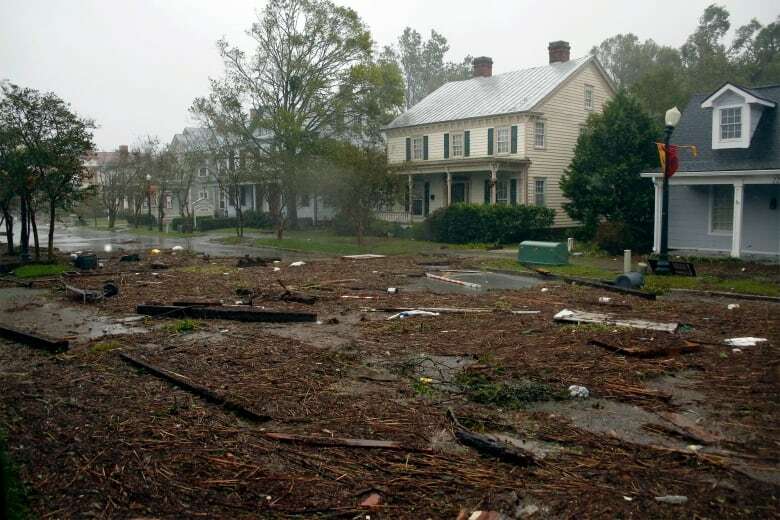 Hurricane Florence made landfall in North Carolina as a Category 1 storm and flooding from the heavy rain is forcing hundreds of people to call for emergency rescues. 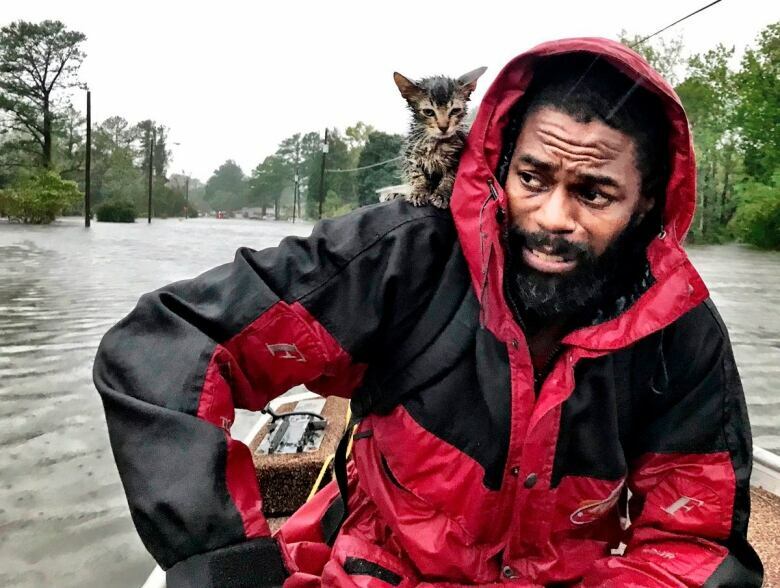 Robert Simmons Jr. and his kitten 'Survivor' are rescued from floodwaters in New Bern, N.C., Friday. 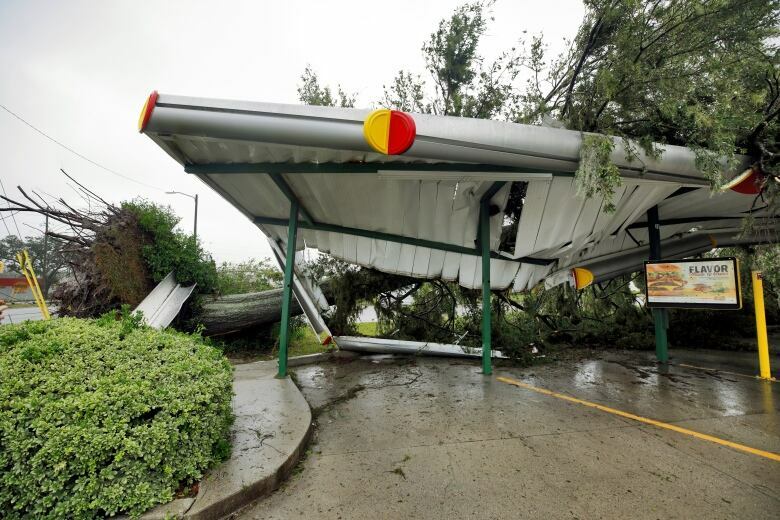 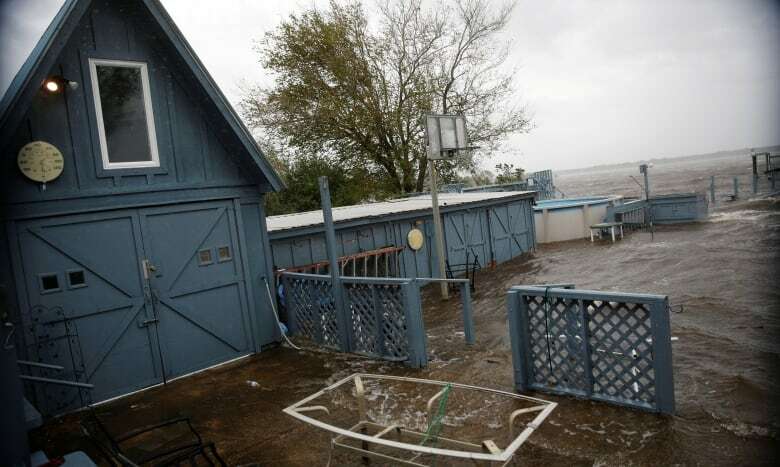 A fallen tree lies atop the crushed roof of a fast food restaurant after the arrival of Florence in Wilmington, N.C.
Debris from the storm covers a street in downtown New Bern, N.C.
Paula Thibodeau watches a storm cloud as Florence approaches Myrtle Beach, S.C., Thursday. 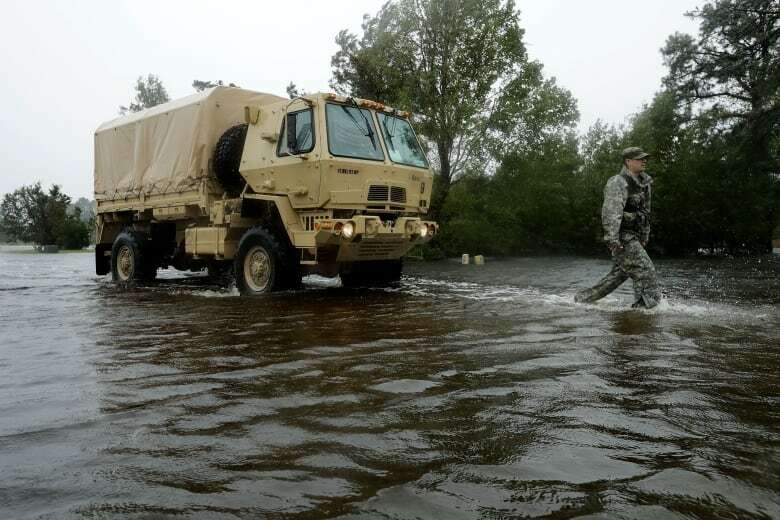 Members of the North Carolina National Guard search for evacuees in Fairfield Harbour, N.C., on Friday. 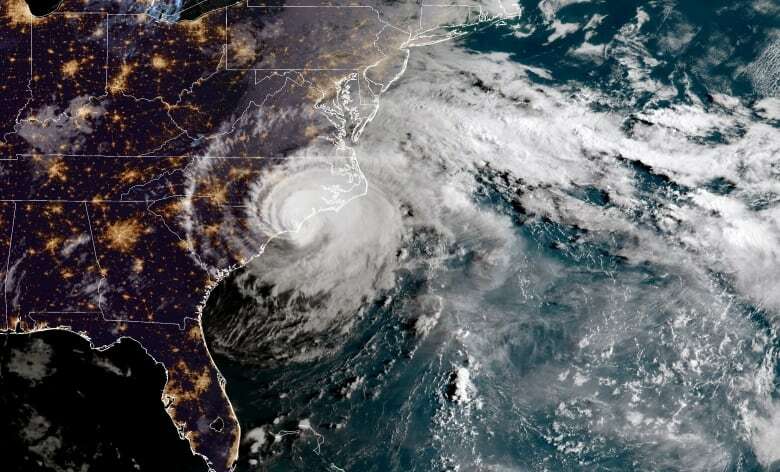 This satellite image shows Hurricane Florence as it made landfall near Wrightsville Beach, N.C.
People walk on a local street as water from the Neuse River starts flooding houses in New Bern, N.C., on Thursday. 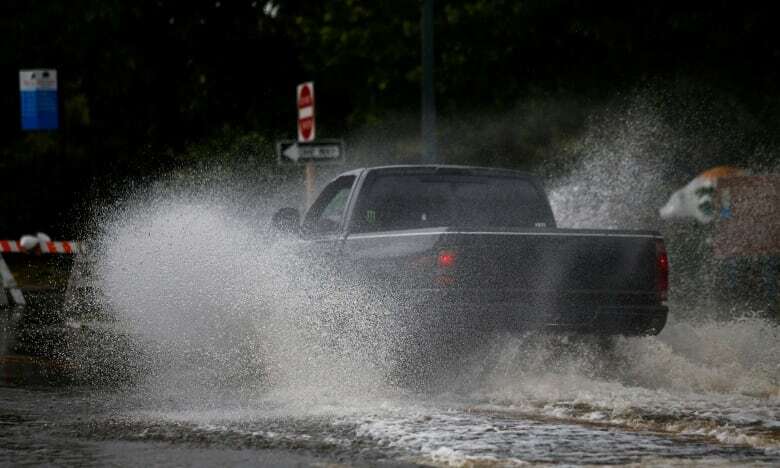 A man drives his vehicle through floodwaters as Hurricane Florence nears the shore in New Bern, N.C. 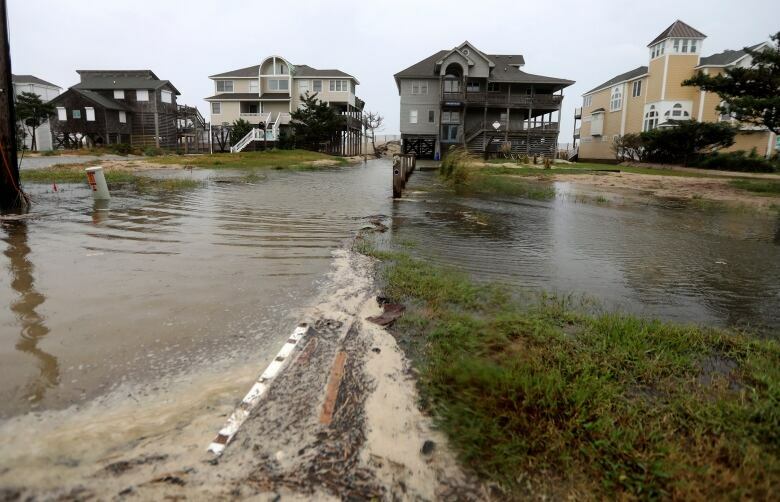 Ocean water breeches dunes in Avon, N.C., as the first effects of Hurricane Florence reach Hatteras Island on Thursday. 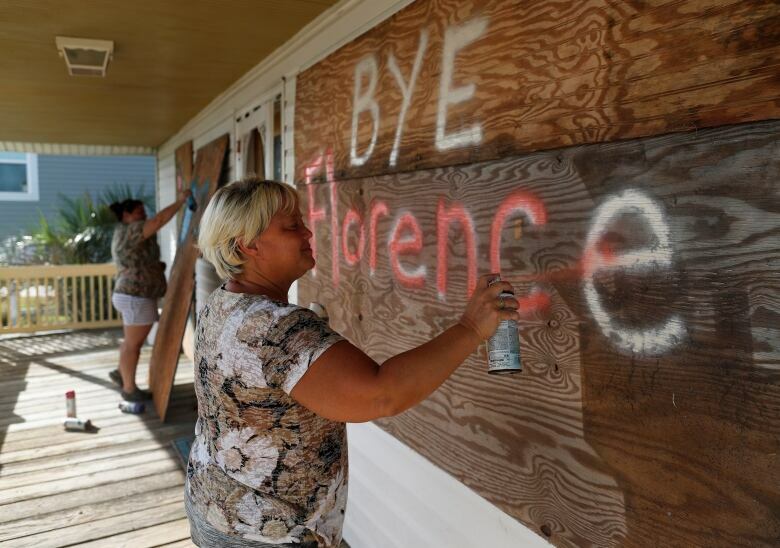 Lisa Evers and her daughter, Amanda Hamilton, decorate their storm shutters before leaving their home ahead of Hurricane Florence in Oak Island, N.C. 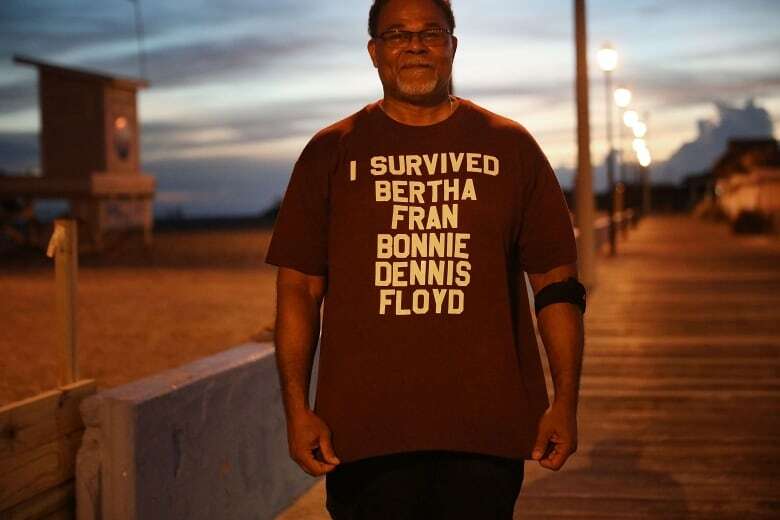 The shirt worn by Al Brookins of Haverlock, N.C., lists some of the previous hurricanes he has lived through. 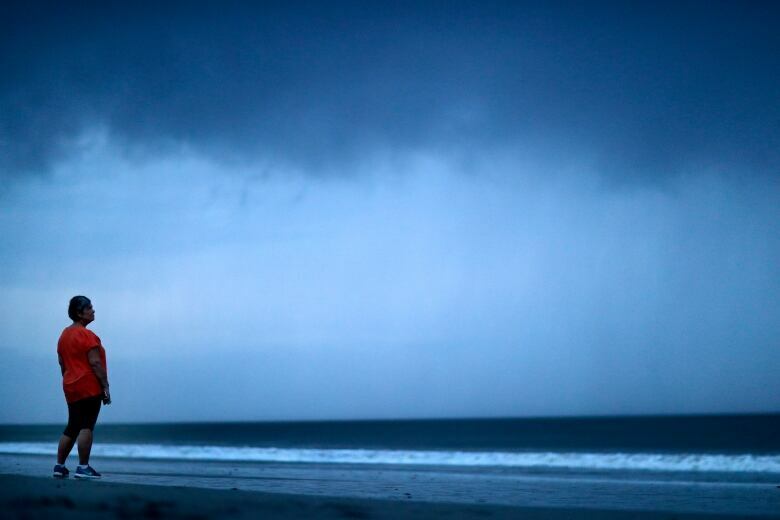 He was taking a stroll on the beach before the arrival of Hurricane Florence. 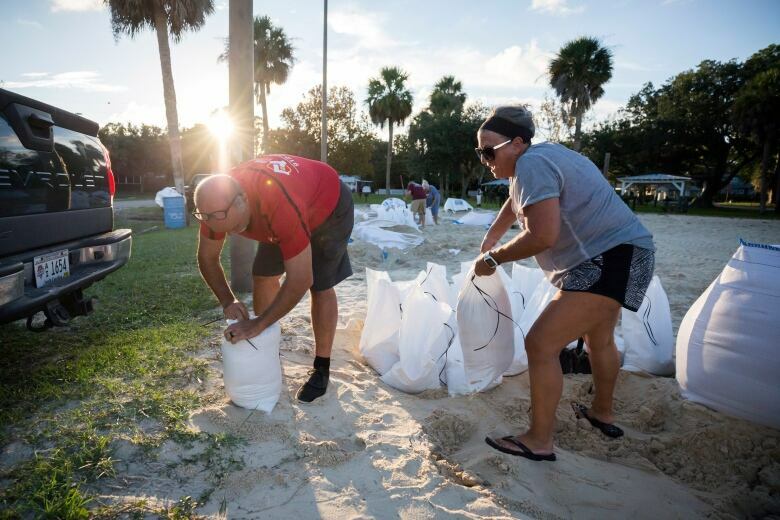 Filling bags with sand provided by the City of Tybee Island, Sib McLellan, left, and his wife, Lisa McLellan, prepare for the storm in Georgia. 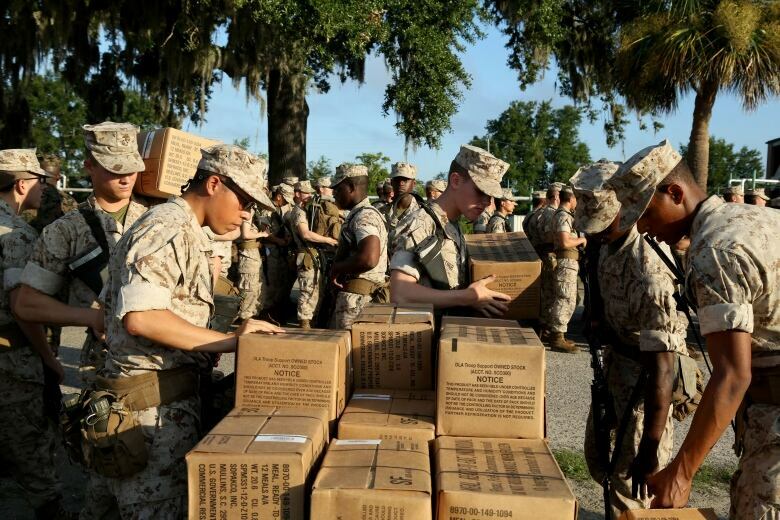 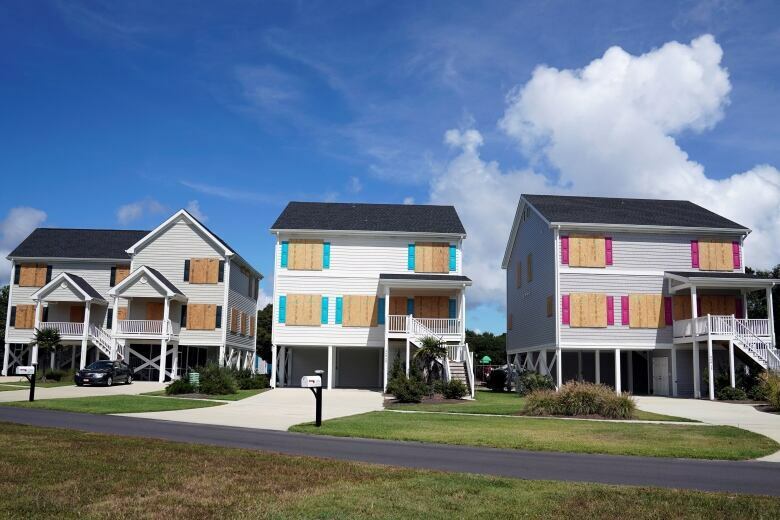 Homes are boarded up before Hurricane Florence comes ashore in Carolina Beach, N.C.
U.S. marine recruits prepare to evacuate at Parris Island, S.C., ahead of the storm. 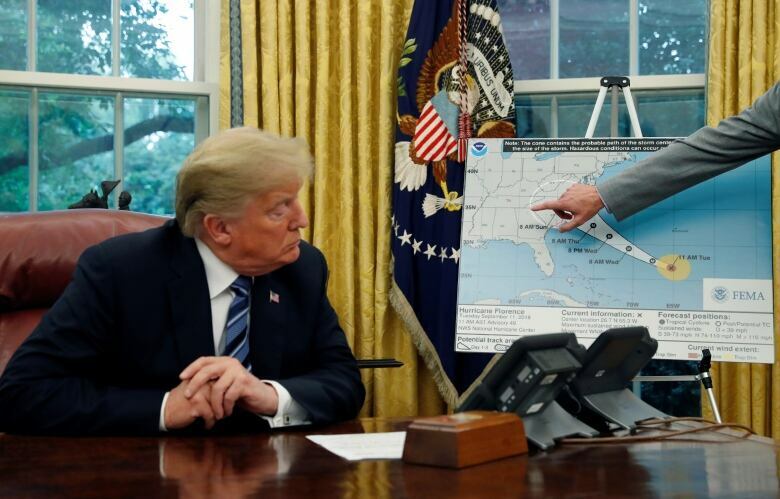 U.S. President Donald Trump holds an Oval Office meeting Tuesday in the White House on hurricane preparations as FEMA administrator Brock Long points on a graphic to the potential track of Hurricane Florence.